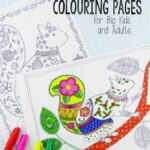 My kids ADORE colouring. 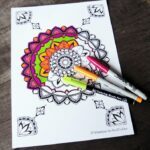 It is a funny old thing colouring – as they do really enjoy creating and drawing “free hand too”.. but I think adult coloring pages, give them the chance to be creative, but also “switch off a little” and go into some sort of “meditative” state (I love watching their facial expressions when the colour!!). 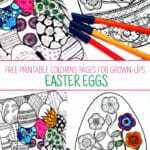 No wonder grown up colouring books have become SO POPULAR! I think we have come to realise quite how calming and wonderful it is! 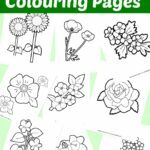 So… to honour both my kids that love to colour and hopefully you, my reader… I have asked some fellow colouring page gurus to create some colouring pages JUST FOR YOU! 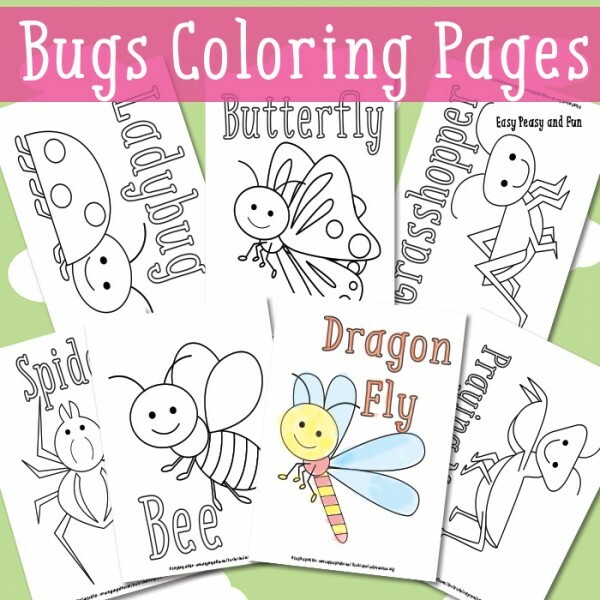 Today’s colouring pages are brought to you by Easy Peasy and Fun (see below for some great more free colouring pages!_. 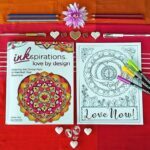 Then I encourage you to get your pencils, pens, water colours and get creative. 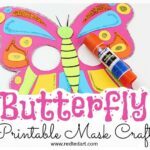 Today’s theme is BUTTERFLIES! 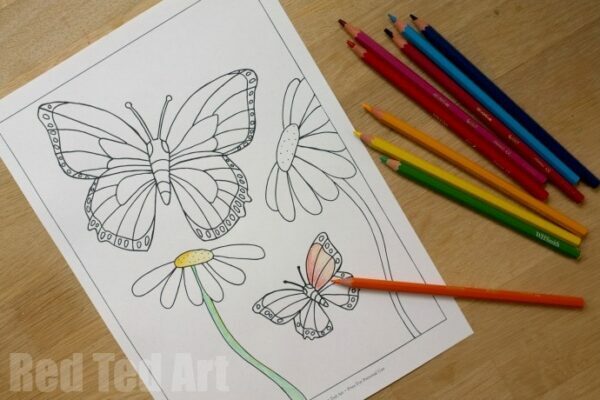 We have 5 BUTTERFLY PRINTABLES for you to choose from more “advanced”, from heart details or simple… and get arty. 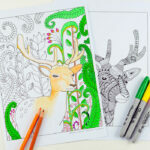 Why not experimenting with adding two layers of pencil colours to your colouring? Giving it some more texture and depth. 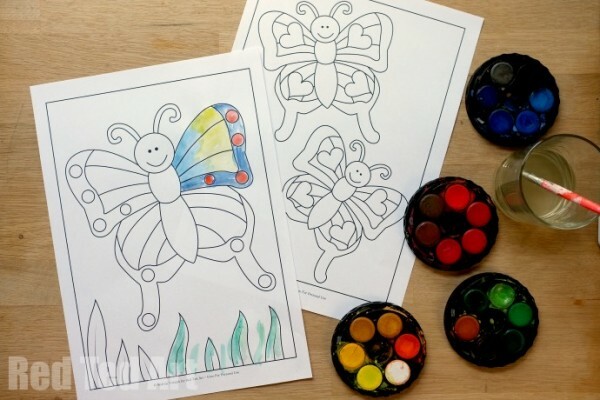 Or have a go at watercolouts – yes, it is a little trickier (i.e. 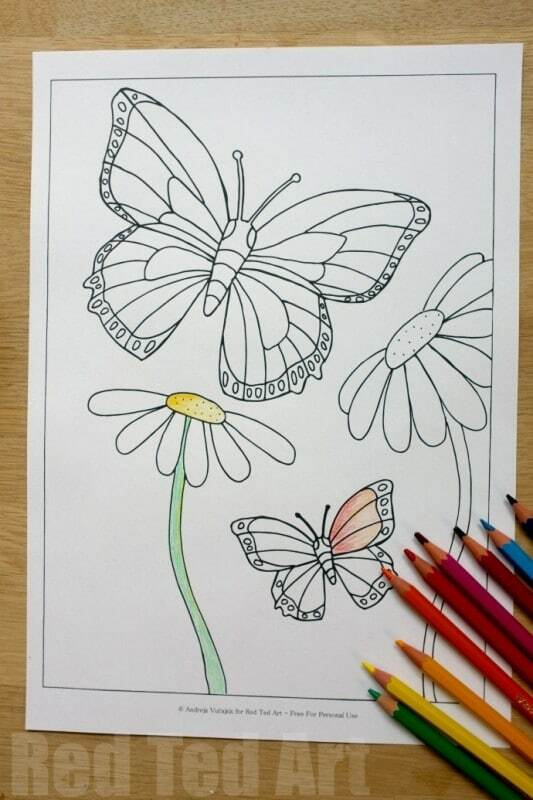 you won’t stay in the lines as nicely), but it is JUST as pleasurable. We love seeing the colours run into each other and mix. Aaaah such lovely! 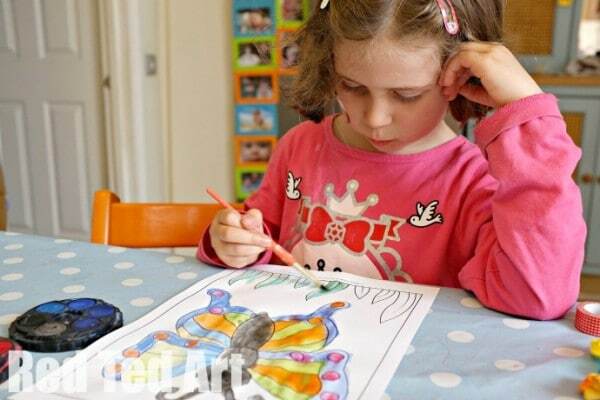 Pip Squeak REALLY enjoyed having a go at colouring with watercolours (this was new for her) and Red Ted came over to have a look and wanted to have a go too. 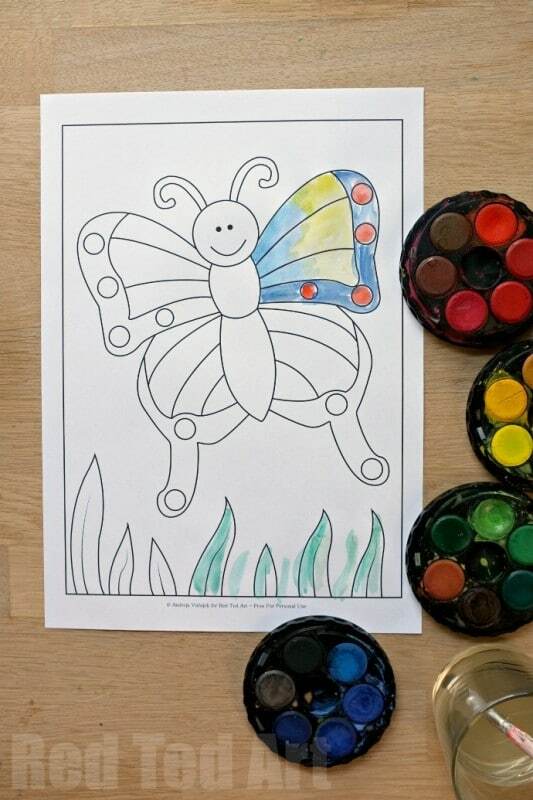 If you enjoyed these butterflies, why not hop over to Easy Peasy and Fun NOW and print out these great Bug Colouring Pages too! I have tried over an hour to get your spring wreath with no success. 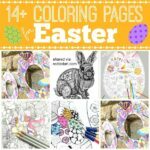 I have tried every single link including the 25 free coloring pages and not spring wreath. How can I can I get the spring wreath?